My child is learning programming using Scratch in school. Can she program her Mindstorms using Scratch? 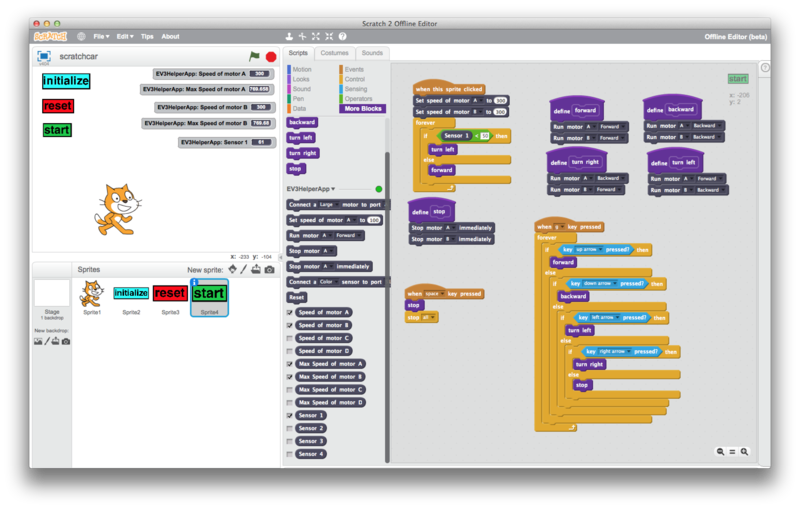 This software is a so-called helper app, that interfaces between the Scratch 2.0 offline editor and the Lego Mindstorms EV3. The EV3 must be booted from Lejos (http://sourceforge.net/p/lejos/wiki/Home/), requires a wifi dongle and wireless setup. The helper app will find the EV3 brick on the wireless network, and will execute commands invoked in Scratch as RMI requests on the EV3. The helper app also reports the status of the motors and sensors back to Scratch. Below is an example program in Scratch, that allows you to control the robot with the arrow keys (after having pressed 'g'), or (after having clicked on the 'start' sprite) let the robot walk around until it meets an object that is too close, at which point it will make a left turn. One way is to use the open-source online programming environment Open Roberta Lab: http://lab.open-roberta.org there is also a wiki included for detailed information. Or just google Open Roberta at wikipedia. All you need to make it work is Windows (7 or higher), Chrome and bluetooth (on your computer, the EV3 already has bluetooth). Not the answer you're looking for? Browse other questions tagged mindstorms programming scratch or ask your own question. What are some free kid-friendly tutorials to get started with Mindstorms Nxt 2.0? How to simulate Lego Mindstorms programs written in C#? What's a good age to start getting into Mindstorms with my child? 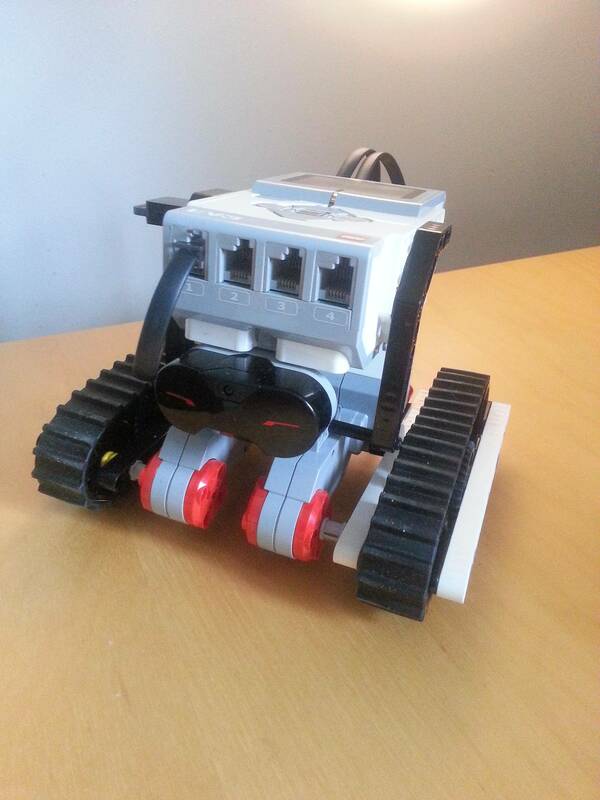 What's the first block in MoveAbsolute for programming the T-Rex, in The LEGO MINDSTORMS EV3 Laboratory book?